Four-wheel drive was outlawed in rallying throughout the 1970s, but in 1979 FISA, the regulatory body for what is now the FIA, had a change of heart - not that it made much difference to most manufacturers. Four-wheel-drive systems were complex and heavy, suitable only for big, clunky off-road vehicles and not compatible with the agility required for rallying. Only one manufacturer immediately embraced four-wheel-drive: Audi. When cars corner at speed, high lateral forces can cause the wheels to lose grip, resulting in the car sliding; when this happens to the wheels being driven by the engine, the car cannot convert the power from the engine into forward momentum until that traction is regained. Four-wheel-drive offers significantly better cornering capabilities by simply diverting all the engine power to all four wheels, so loss of traction in the front or rear wheel does not result in total loss of driving power. The 1980 Audi Quattro introduced this system in a lightweight configuration by using a hollow shaft in the gearbox to let power flow in both directions, and a mechanical centre differential, where torque is divided between the front and rear axles; it meant that the 2.1-litre, 197bhp engine complete with turbocharger and intercooler could make use of that power all through the corners. The results for the rally team were instant: Audi was the team to beat, all the other manufacturers scrambled to get usable lightweight four-wheel-drive systems up and running, while Audi racked up four World Rally Championship titles. 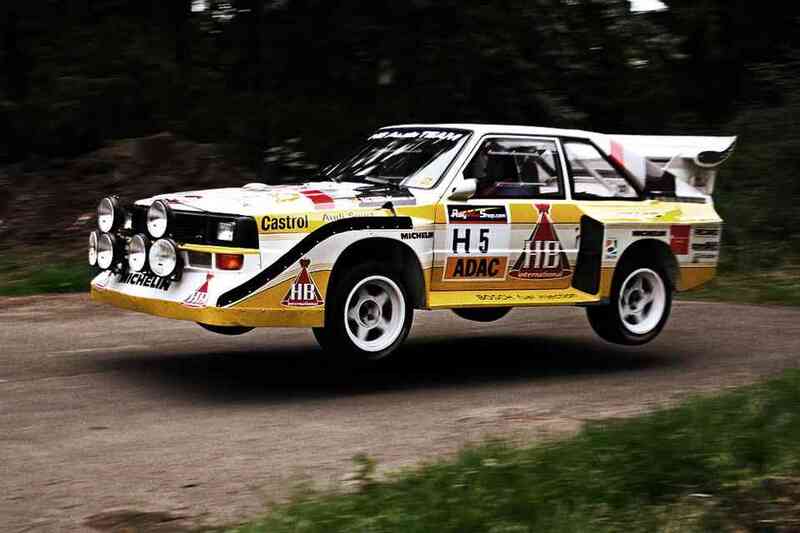 Audi's Quattro meant more than just motorsport brownie points, however. 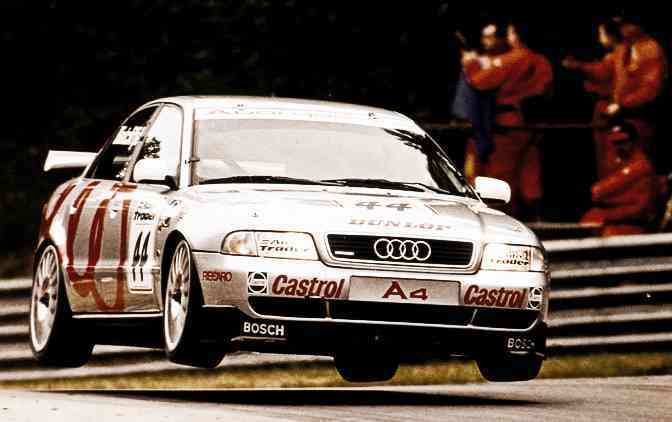 The Quattro was in full production as a road car, and the increased levels of grip meant driving in adverse weather conditions was a lot easier. By 1986, Audi was showing off these grip levels by releasing a commercial of a production Audi Quattro driving up a snow-covered, 35-degree incline ski slope. Four-wheel drive was now part of standard production car engineering. Yet the Quattro had another ace up its sleeve. In 1987, the manually locking central differential was replaced by the Torsen differential. Torsen stood for torque sensing, as the differential sensed when grip was being lost from one axle and diverted more torque to the other one. It didn't rely on wheel sensors or electronic data - both of which could fail - the Torsen just knew. For the driver, this meant loss of grip at the front or rear of the car often went unnoticed, as the diff instantaneously diverted up to 80 per cent of the torque to where it was more effective, and the car stayed on the road. Production of the Quattro went on for 11 years, with Audi barely changing a thing. By this point however, the Quattro name synonymous with high-performance four-wheel-drive was being used on all Audi's four-wheel-drive models, and the manufacturer was the undisputed master of the technology, which it remains to this day. 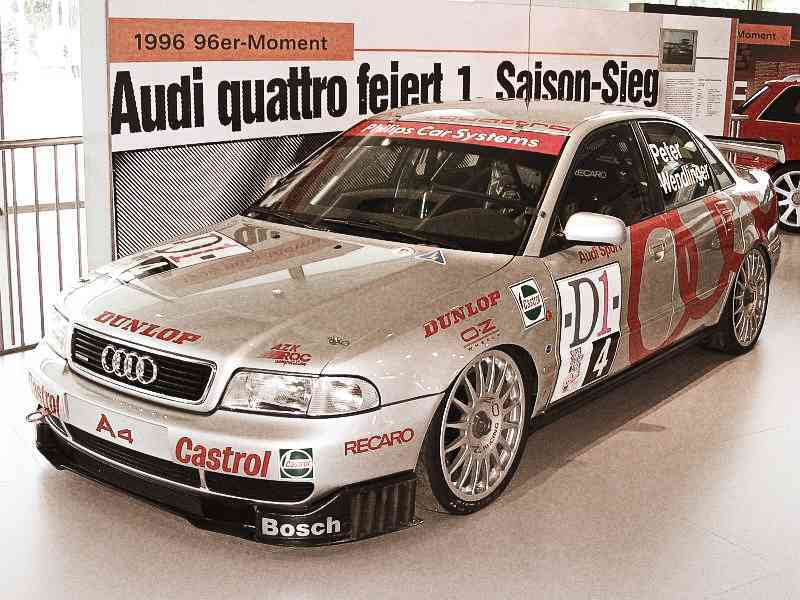 In 1996, the A4 Quattro Super Touring entered seven national touring car championships. It won them all. Four vehicles which changed the way we saw the humble car, and in their own ways set blueprints for everyone else to follow. These are the some of the machines that shaped their present and the future, and for that they will forever be remembered as far more than just four wheels and a couple of doors.